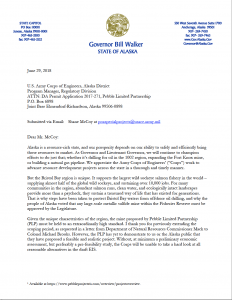 Alaska’s Governor Bill Walker has sent a letter to the U.S. Army Corps of Engineers asking it to suspend its NEPA review of the proposed Pebble mine. 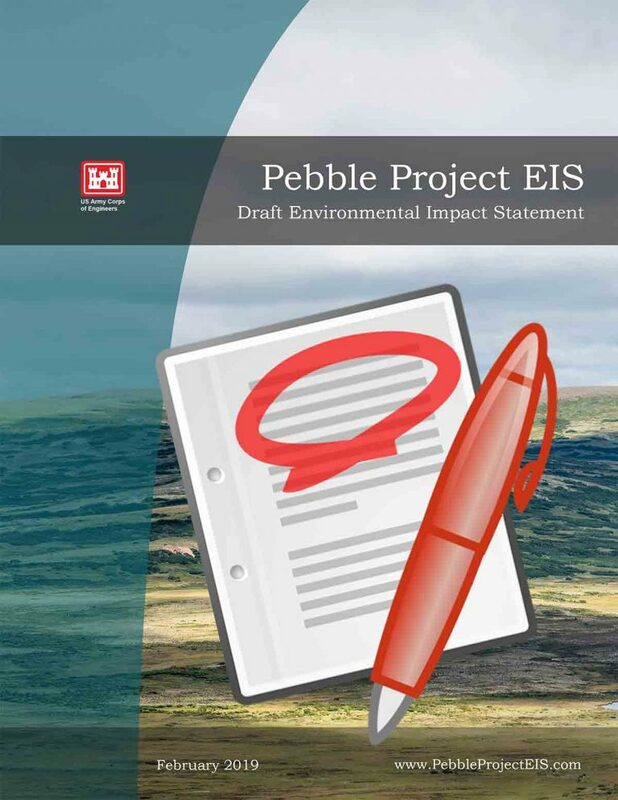 The Corps is currently drafting an Environmental Impact Statement (EIS), which will lay out the positive and negative effects of the proposed development, along with reasonable alternatives. This isn’t the first time Walker has made his stance clear on the Pebble project. At a June 9 governor’s candidate debate in Naknek he expressed opposition, and March, his administration criticized the Corps’ initial 30-day scoping period. The Corps subsequently extended the scoping period to 90 days. That doesn’t mean it will respond to the latest request by suspending the permitting process. During the June press advisory McCoy said the agency has a statutory obligation to continue the permitting process until “either we don’t have the information we need from the applicant or the applicant withdraws.” This was in response to questions about the financial stability of the Pebble Partnership after the withdrawal of First Quantum Minerals walked away from a potential partnership deal that would have provided another other $112.5 million toward permitting over four years. NDM needs another partner in order to advance the development. In response to Governor Walker’s letter, PLP CEO Tom Collier wrote that the Governor did not make a compelling case for suspending the NEPA process.